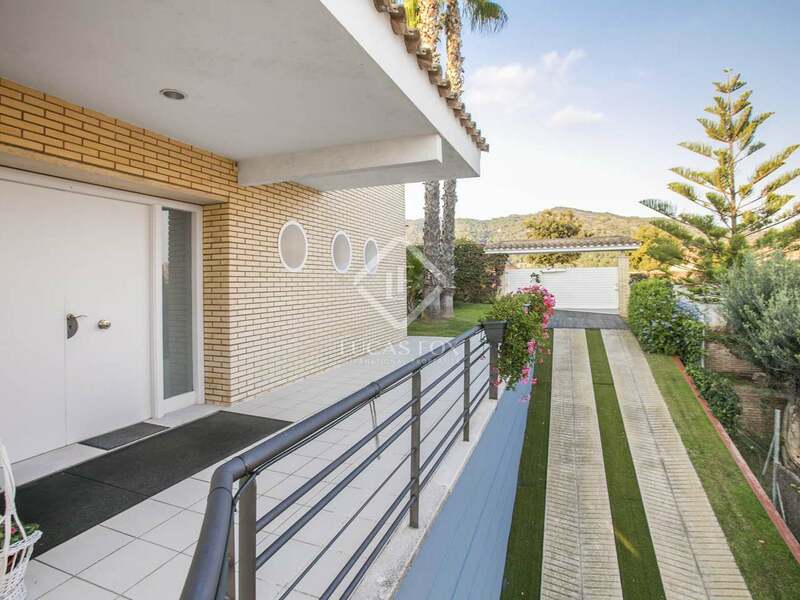 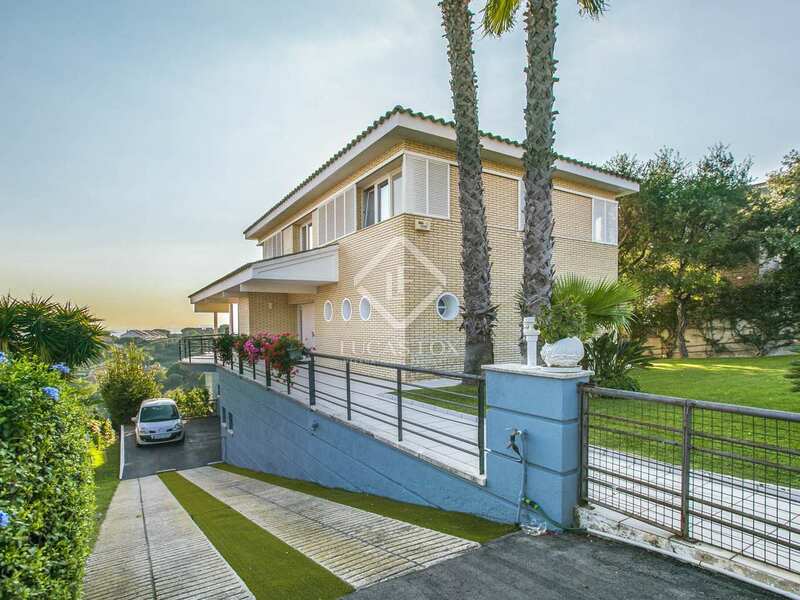 Well appointed modern family home with 4 bedrooms and a self-contained 1-bedroom apartment for sale in Teià with stunning sea views. 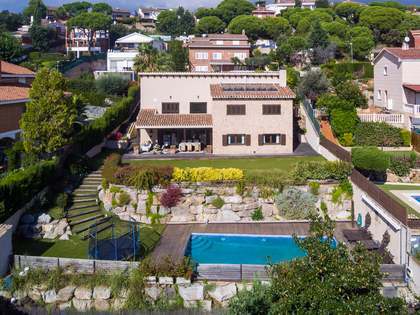 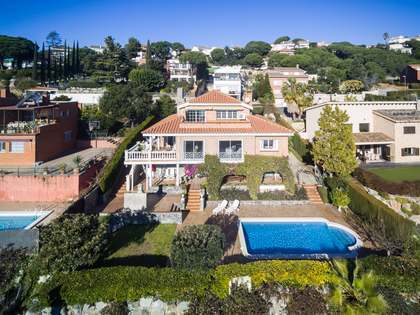 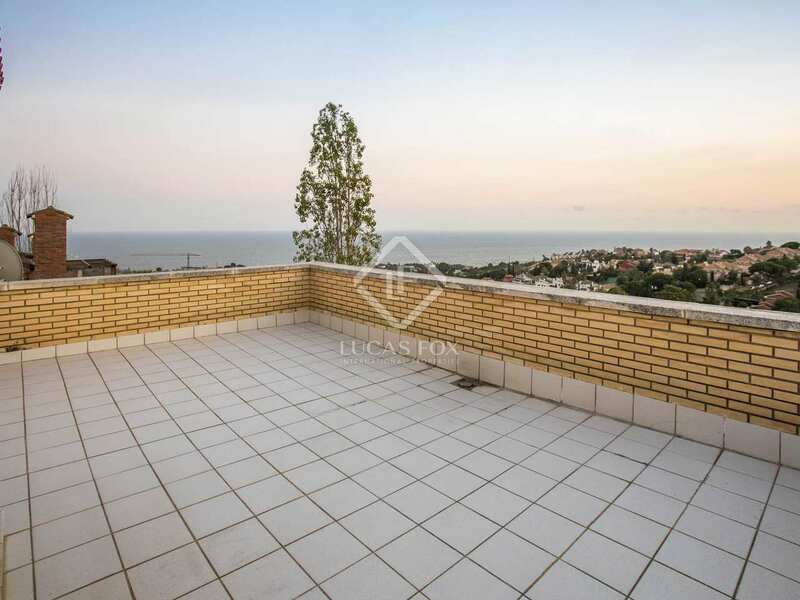 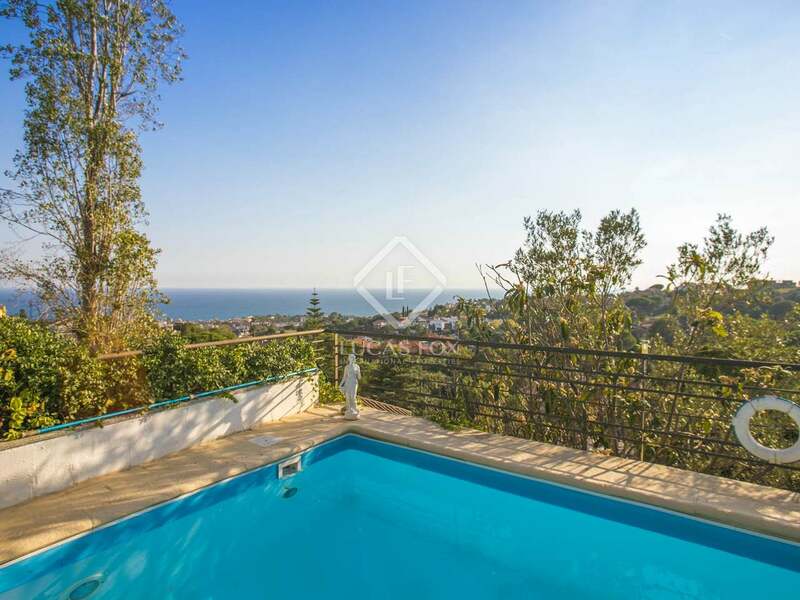 Sunny detached brick villa with stunning sea views as far reaching as the W Hotel in Barcelona for sale in Teià, walking distance to schools, the town centre and public transport services. 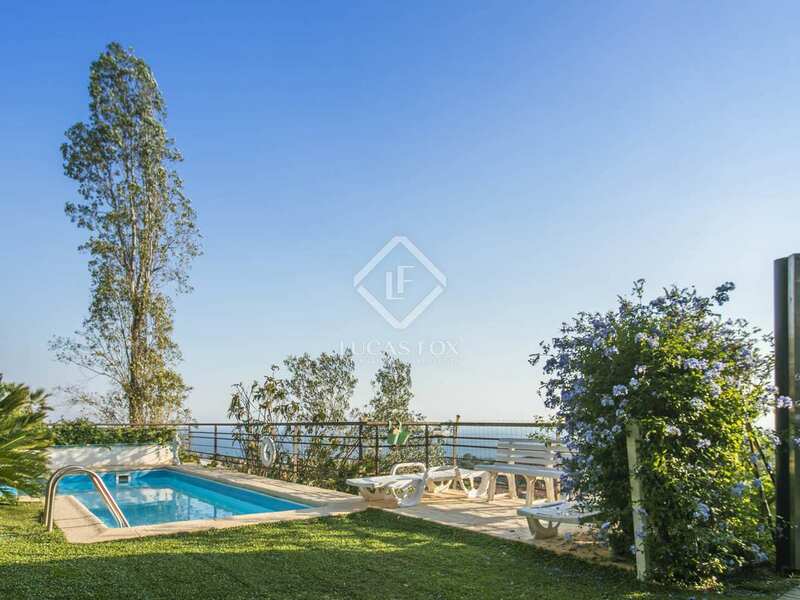 The villa boasts a great, well maintained private garden with a lawn area, a vegetable patch and a lovely pool with sea views and a shower. 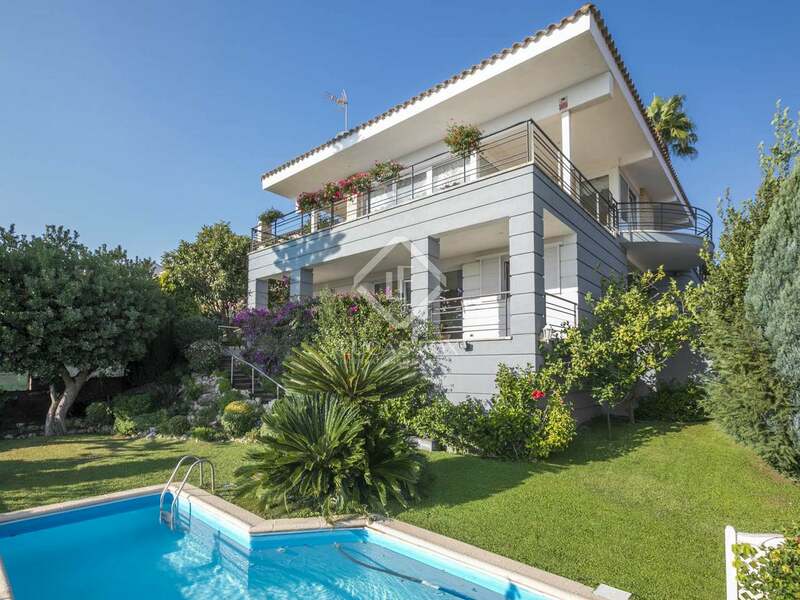 An automatic watering system has been installed. 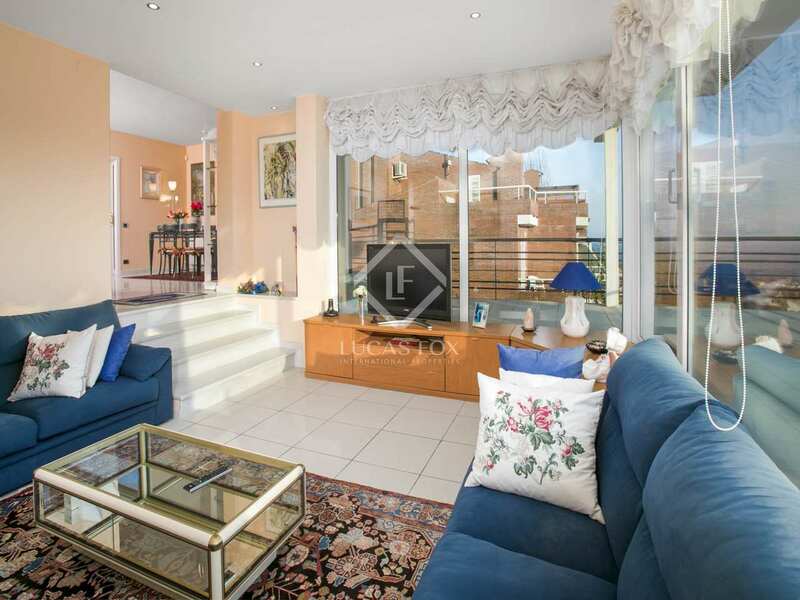 On entering the house on the ground floor we encounter a very large entrance hall with a panoramic window and a guest toilet. 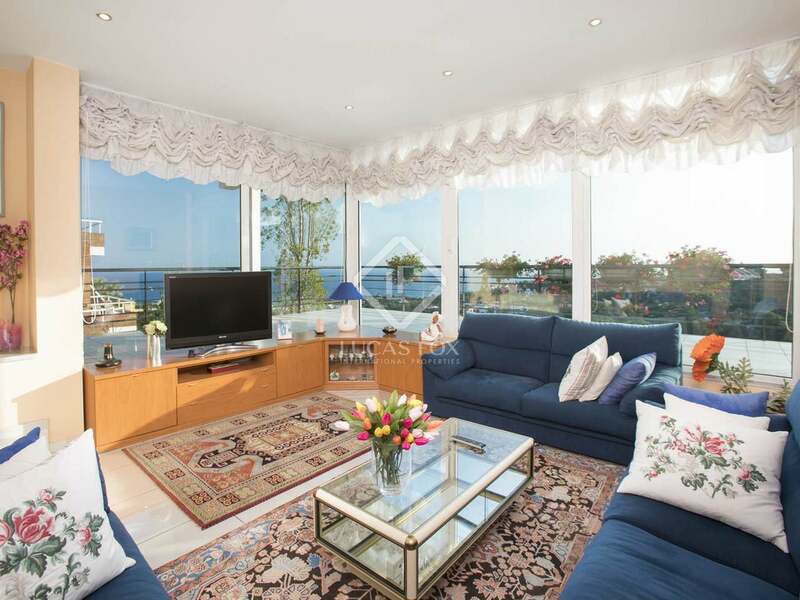 Moving on we find the dining room with sea views and access to a terrace and the split level living room, also with sea views, and the possibility to install a fireplace as the extractor is already in place. 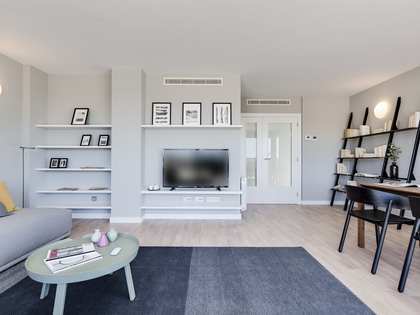 Here it is an option to remove the false ceiling and even out the split level in order to create one large living and dining area. 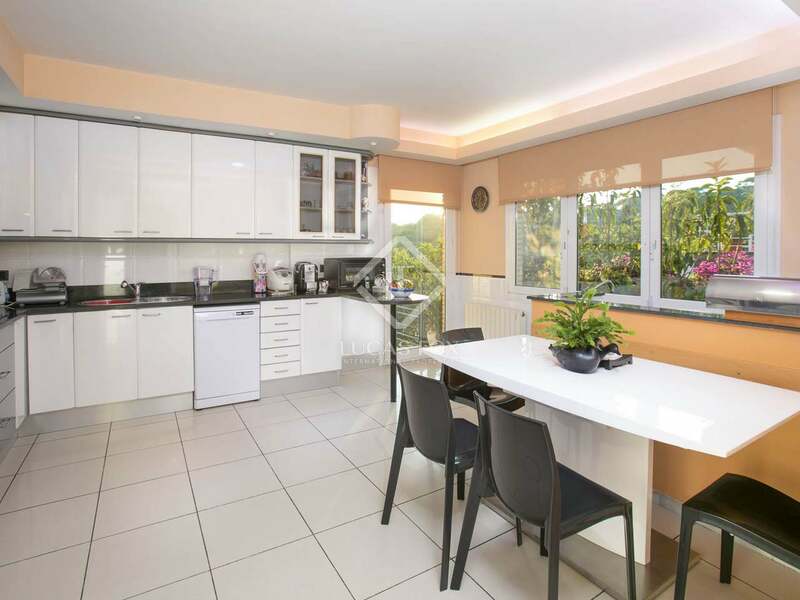 It would also be possible to open the large kitchen up to the dining area if desired. 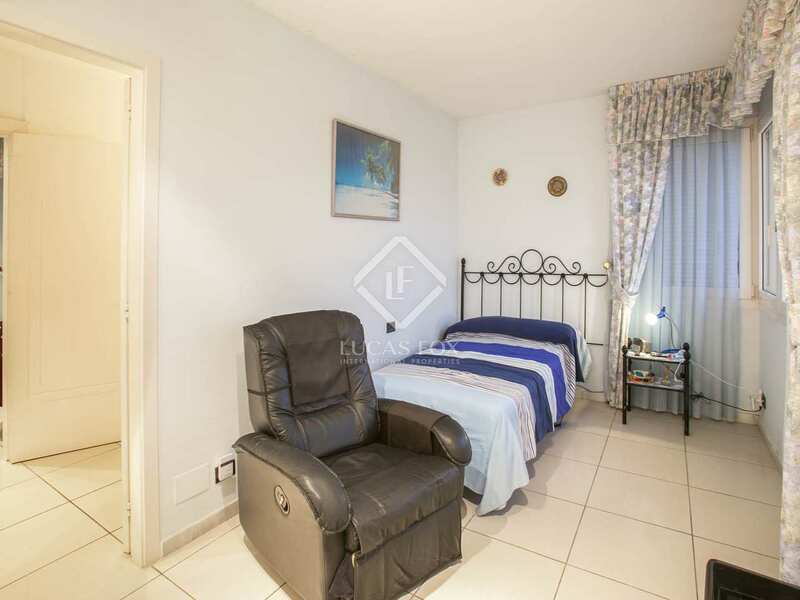 There is a very large eat-in kitchen with a laundry space and access to the terrace and a generous sized bedroom suite with built-in wardrobe, a bathroom with a shower and bathtub and access to the garden. 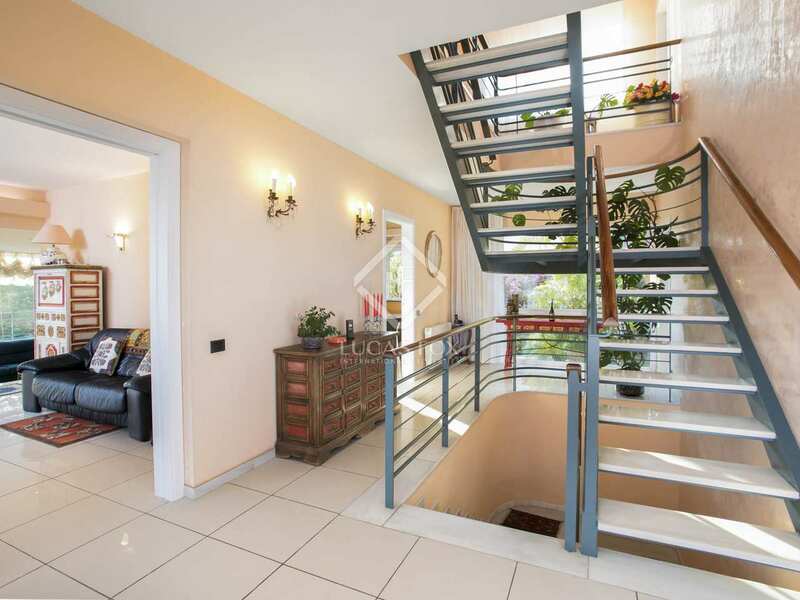 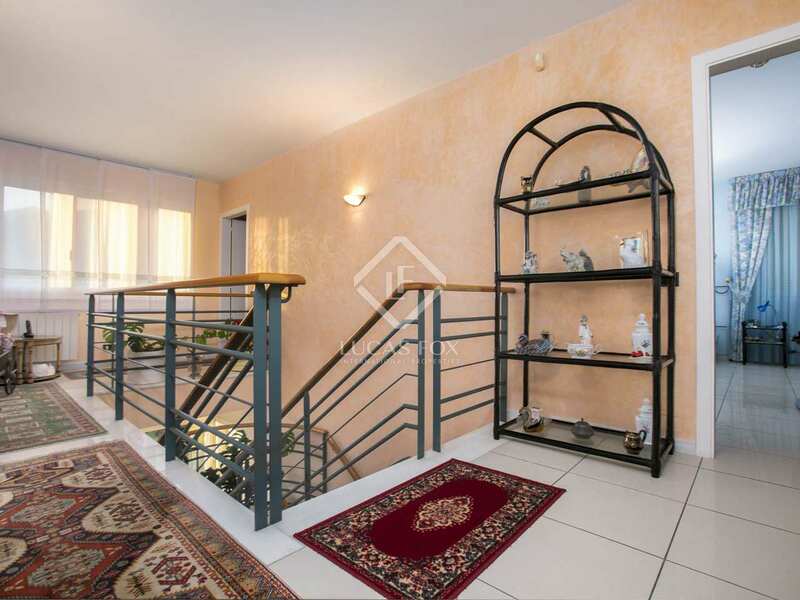 A see-through staircase takes us up to the large hall on the first floor which leads to 2 spacious single bedrooms with built-in wardrobes and a shared bathroom that can be accessed from both rooms. 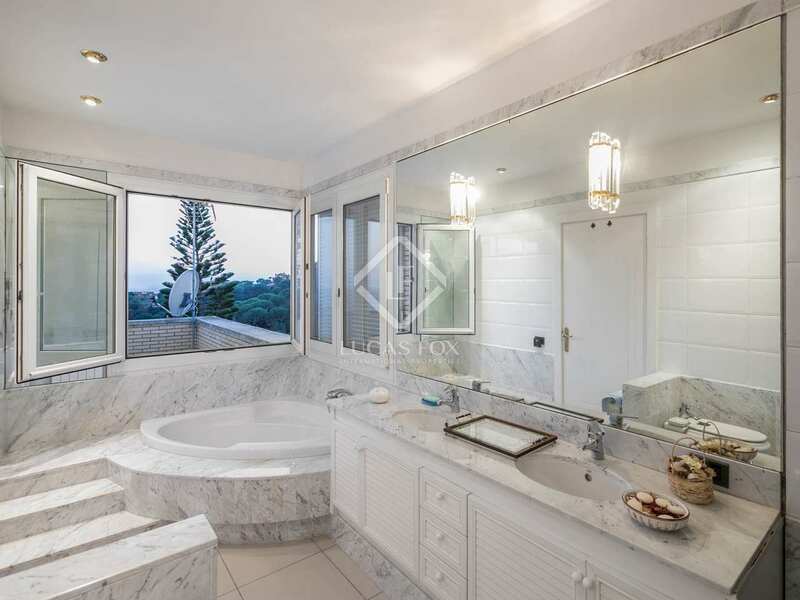 The fourth bedroom, a large suite with a terrace and a built-in wardrobe, is also found on this level and from there we access the en-suite bathroom with a shower and bathtub. 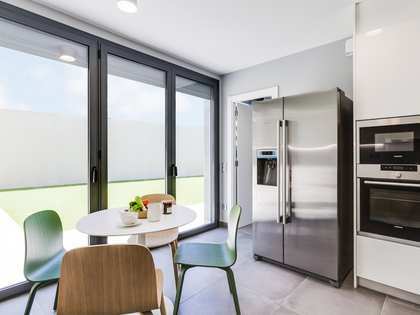 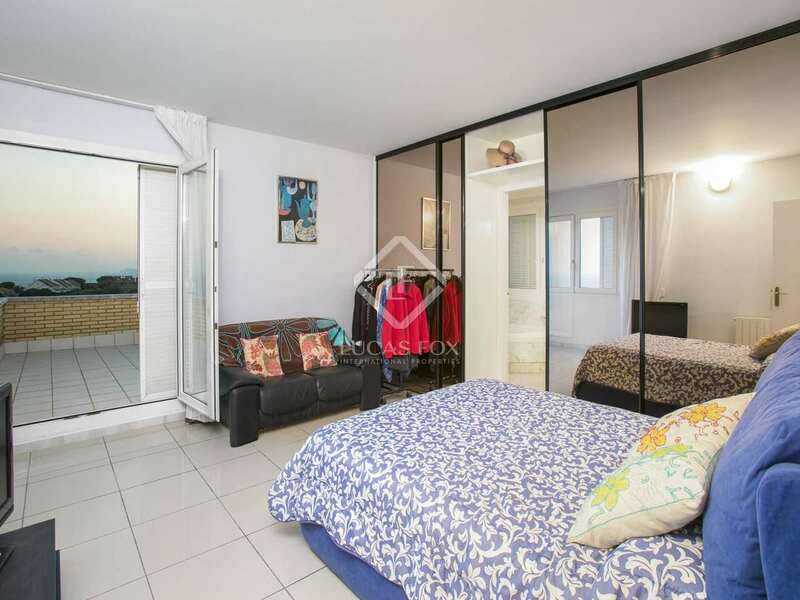 As well as storage space, a garage and wine cellar, the lower ground floor offers a separate apartment with a fully equipped kitchen, bathroom and double bedroom as well as a living and dining area with access to a terrace with sea views. 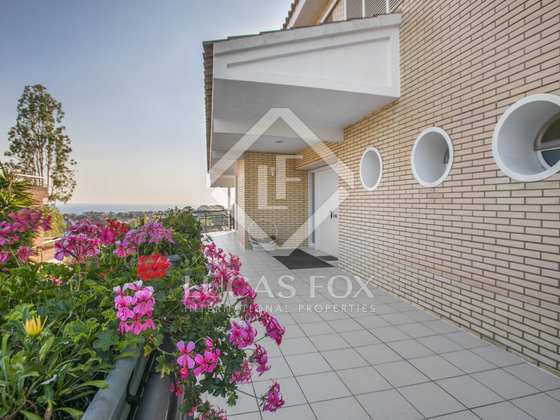 Additional features of the property include the tilt-and-turn double glazed windows, gas central heating and the freshly painted façade. 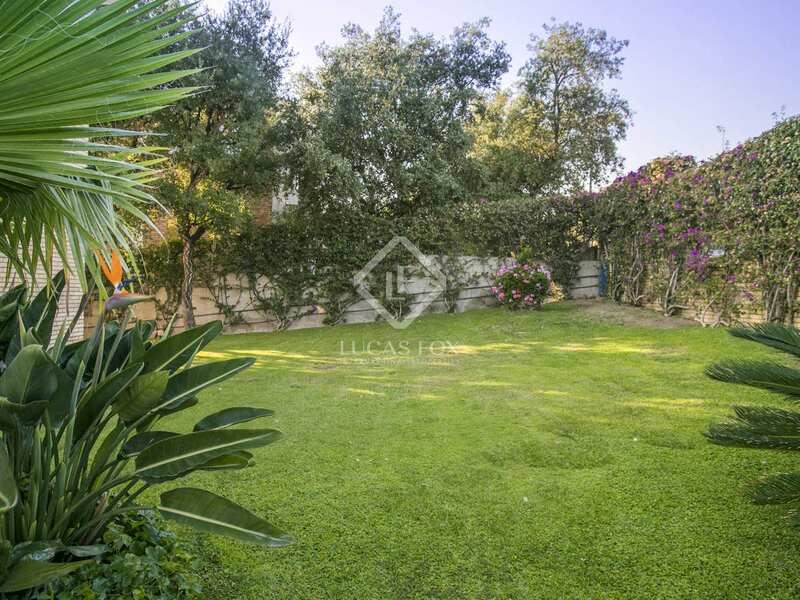 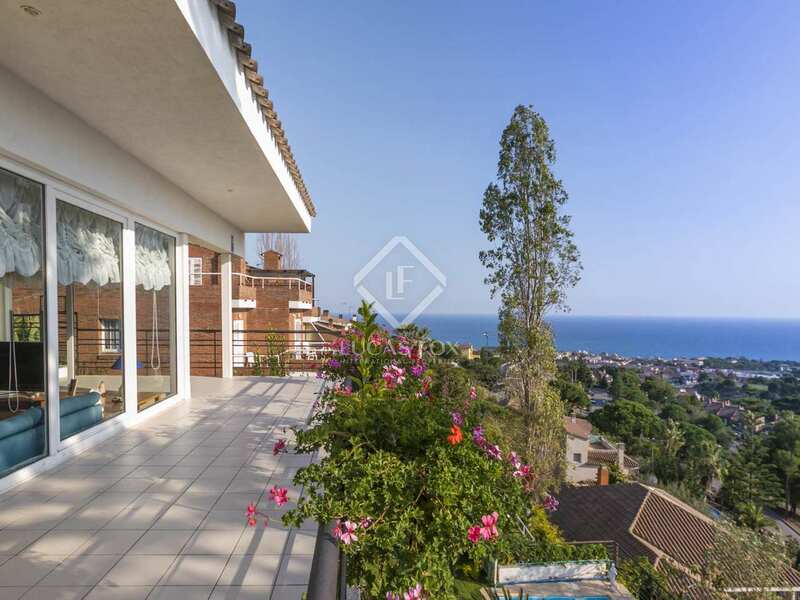 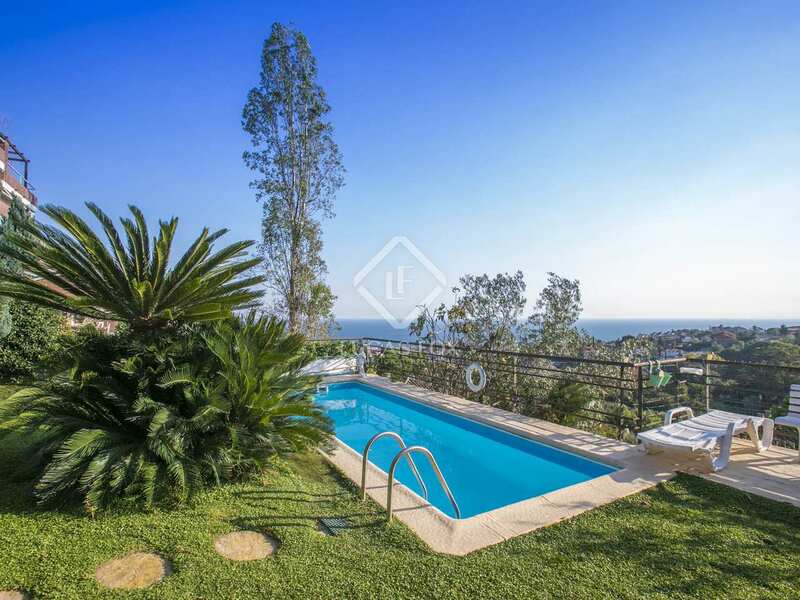 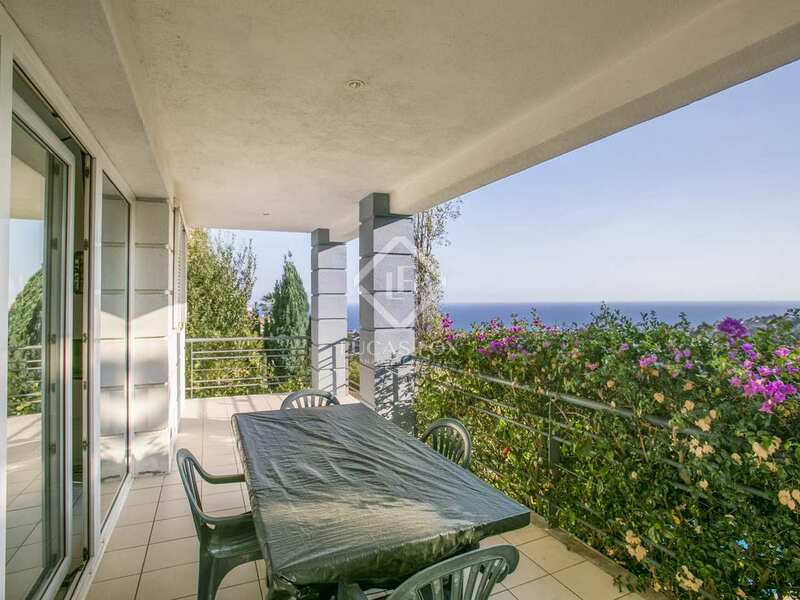 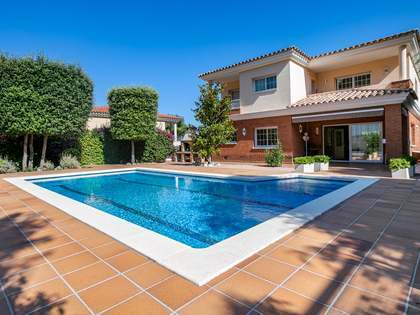 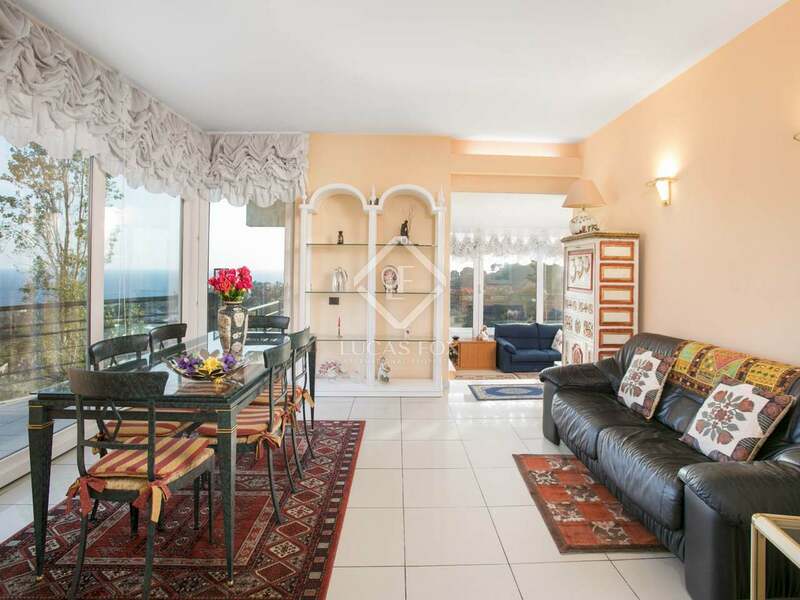 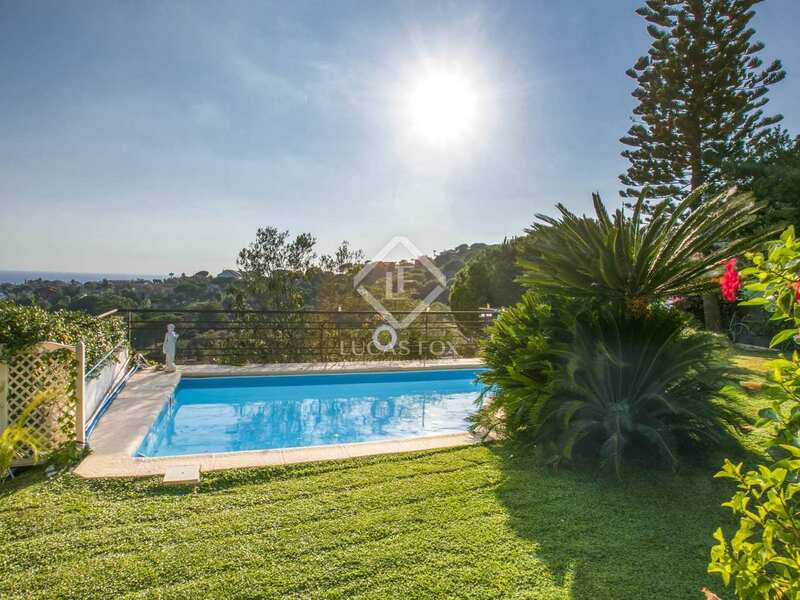 An excellent family home or holiday property in the Maresme. 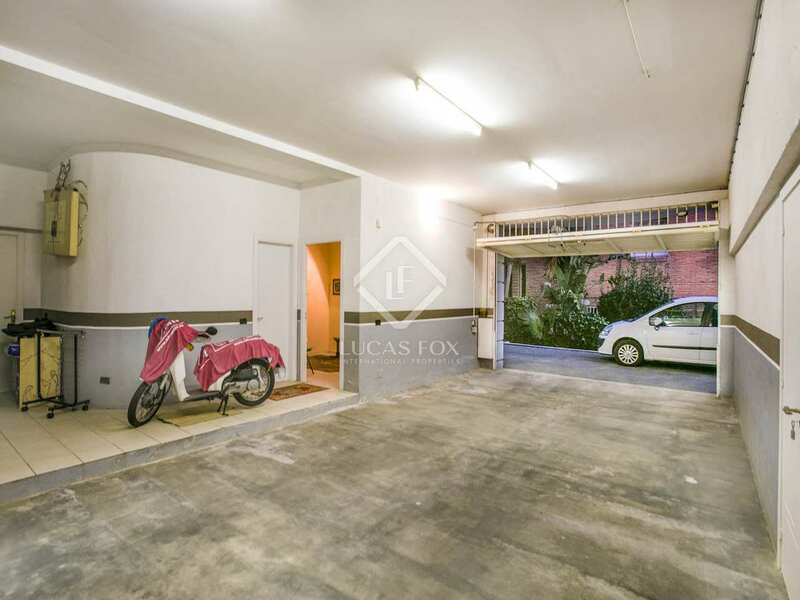 Property located in Teià, walking distance to local schools, the town centre and public transport services. 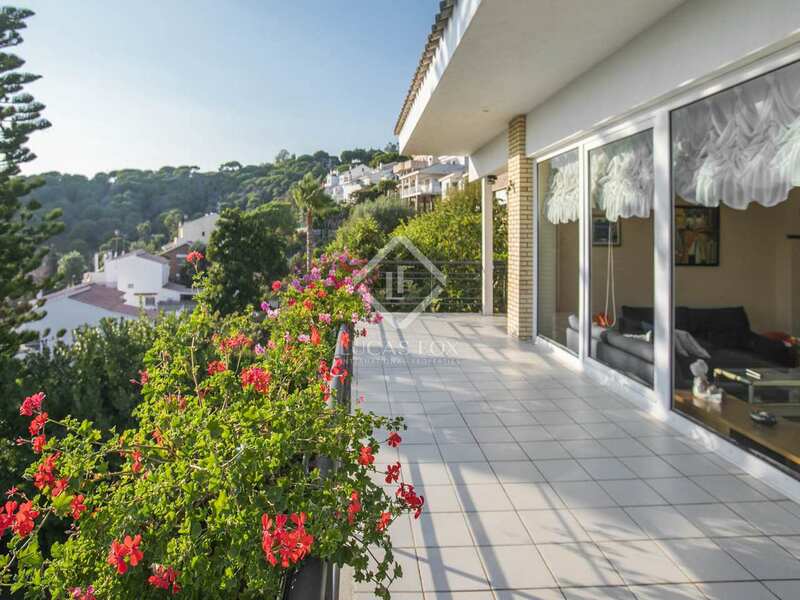 This pleasant Maresme town offers the best of both worlds with the wooded hills and the coast just minutes away and Barcelona City within very easy commuting distance.